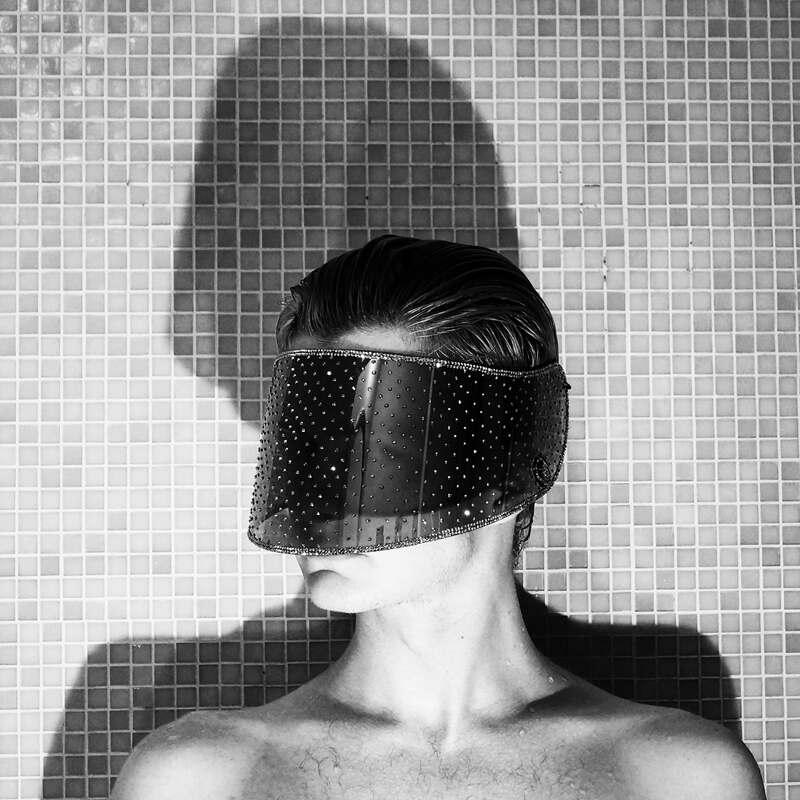 Self-Portrait in Alacritous F/W 2014-15 Big Brother Visor. Selected by Amy Arbus to appear in Darkroom Gallery’s Mirror, Mirror Show. 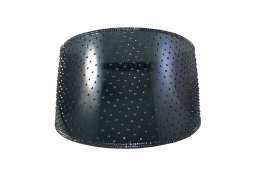 The hand-assembled visor is coated with over 1,500 Swarovski Crystals. An aluminum chain closes the back, securing Big Brother to the wearer’s head comfortably. The visor can also be flipped and worn as a crown.